Can’t find the answers you’re looking for here? Feel free to call or tour our day care center any time. 1. What do I need to bring in for my child? For infants and non-toilet trained children, parents provide diapers and wipes. Please bring in a bottle or sippy cup for children under two years old. You do not need to bring in nap blankets or sheets, but may bring in a special blanket if your child would like one for nap. Please keep a change of clothes at day care in case of accidents. 2. Do you provide snacks and meals? What if my child has food allergies? We participate in CACFP, the Child and Adult Care Food Program. We provide breakfast, lunch, afternoon, and late afternoon snacks which meet all nutritional requirements and guidelines for exceptional child care programs. Infants are offered Kirkland brand formula and baby food. We coordinate with families to introduce cereals and jarred baby foods at the same rate they are introduced at home. We maintain food allergy/intolerance lists and will provide appropriate substitutes. Please see our Community Page. 3. What days of the year are you closed? Our educational day care center is closed all major holidays: New Year’s Day, President’s Day, Memorial Day, Fourth of July, Labor Day, Thanksgiving and the day after, Christmas Eve, and Christmas Day. We reserve the right to alter the Christmas Eve holiday to create a four day weekend when possible. If a holiday falls on a weekend, we will celebrate the Friday prior or the Monday after. 4. What are the qualifications of the teachers? All of our teachers are fully qualified according to Licensing standards. Our teachers exceed minimum requirements, and many have college degrees. 5. My work schedule varies. Do I have to maintain a set schedule with you? 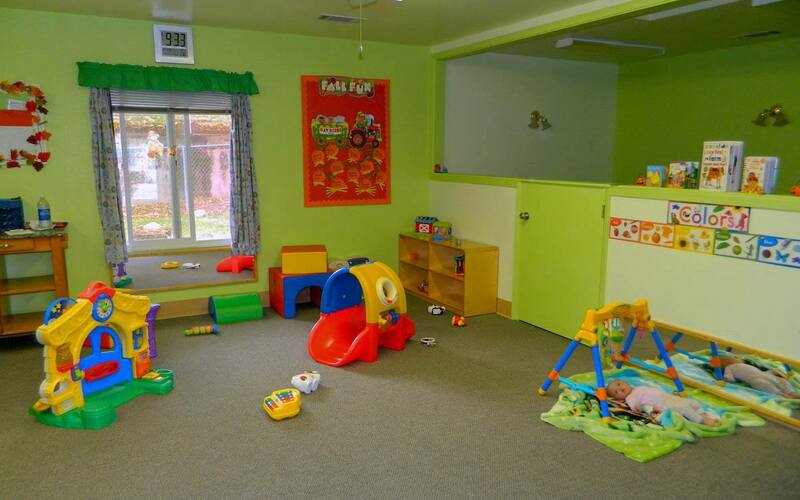 We pride ourselves on our ability to be flexible with your changing schedules, and we offer drop-in child care. Please notify us as soon as you know what your expected attendance is so we can properly plan staffing. 6. What are your discipline policies? Redirection for younger children, “thinking chair” for older children when redirection isn’t successful. If needed, we will always work with you to develop behavior plans for “spirited” children. 7. Who is allowed to pick up my child? Only the people you list on your emergency card will be allowed to pick up your child, and we require a picture ID if we do not know the person. 8. What is your illness policy? Children will be sent home if we suspect any contagious condition such as pink eye, lice, or a suspicious-looking rash. If a child vomits more than once, has diarrhea more than once, or has a fever over 100 degrees, they will be sent home. Children must be symptom free for 24 hours before returning to care. A child sent home from day care with a suspected contagious condition will require a doctor clearance before returning.